Accidents, playground scrapes, bloody noses, fights, athletic injuries and violent episodes all have the potential for exposing you to a bloodborne pathogen, a microorganism in blood that can cause disease if it enters your bloodstream. Of primary concern are AIDS/HIV, the hepatitis B virus and the hepatitis C virus. You can be exposed at work by being bitten by a student; breaking up a fight; administering first aid; or diapering, toileting or feeding a student. One of the most effective ways to prevent infection is to practice universal precaution, which means good hand-washing. Wash your hands when you arrive at work; before handling food or feeding children; after using the toilet; before or after assisting a child in using the toilet; after changing diapers; after contact with runny noses, vomit or saliva; and before and after using gloves. You can reduce your risk of exposure by treating all blood and body fluids as if they were contaminated or considered Other Potentially Infectious Materials (OPIM). There is no way to tell if a child or adult is infected with hepatitis B or other bloodborne pathogens, and this information will not be disclosed to you because of the Health Insurance Portability and Accountability Act (HIPAA) law. If gloves aren’t available immediately, you should place a barrier preferably of a nonporous material such as a plastic bag between you and the blood or body fluids. You should always wear disposable gloves and other necessary personal protective equipment (PPE) when performing routine tasks that involve the potential for exposure to blood and body fluids. The Department of Education must provide confidential medical treatment and counseling if you sustain a workplace exposure to blood or body fluids. If you are exposed to blood or body fluids, wash the affected area with soap and water immediately. Flush your eyes and exposed mucous membranes with large amounts of water, and report the incident to the school’s Site Employee Safety Administrator (SESA), principal and/or chapter leader so that the SESA can coordinate the necessary medical arrangements and protect your rights. Remember that most exposures do not result in infection. But time is of the essence with these kinds of exposures. Be sure to seek medical attention immediately (in some cases you may need treatment within hours). Getting appropriate treatment quickly can greatly reduce the chances of infection. Fill out a UFT Incident Report at the school or a UFT Safety/Discipline Report Form online at www.uft.org/our-rights/incident-reporting. Contact your SESA, who can give you the bloodborne pathogens exposure forms to fill out. Notify the DOE of the exposure by contacting its Occupational Safety and Health Department at 1-718-935-2319. You can learn more by downloading the DOE Bloodborne Pathogens Exposure Incident Package, which includes forms to be filled out. The DOE Bloodborne Pathogens Standard is available on the UFT website at http://bit.ly/1u0PMPN. Contact the UFT Safety and Health Department at 1-212-510-6460 for assistance. Someone will provide assistance with the forms and can mail forms to you if you cannot get them at your school. The Bloodborne Pathogens Standard calls for employers to take specific measures to prevent or reduce worker exposure to blood and other infectious body fluids in the workplace. 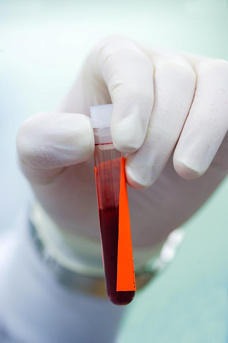 The Bloodborne Pathogens Standard applies to all school employees considered at risk because their job brings them into routine contact with blood and body fluids that can cause diseases such as HIV/AIDS, hepatitis B and hepatitis C. That contact may occur while providing first aid or come as a result of bites, cuts or openings in the skin; needlesticks; or splashes into the eyes, nose and/or mouth while diapering or toileting a student. The link to the DOE’s Exposure Control Plan is located on the Department of Education website at http://on.nyc.gov/1y4qDD6. You may also visit the DOE Office of Occupational Safety and Health-Employee Safety for more information. The DOE’s Bloodborne Pathogens Compliance Tool is an interactive database used to track the training and vaccination status of at-risk employees in each school citywide and to make the DOE Exposure Control Plan site-specific for each school. For example, once an employee is trained, the compliance tool will send an automatic email to the employee and the Site Employee Safety Administrator, offering the hepatitis B vaccine. School employees considered at risk include all District 75 employees and those working with special education students in non-District 75 schools, one-to-one paraprofessionals, health paraprofessionals, school nurses, occupational therapists, speech therapists, physical therapists, adaptive physical education teachers, crisis intervention teams, laboratory teachers, laboratory specialists, designated responders for first aid and CPR/AED (cardiopulmonary resuscitation/automatic external defibrillator), and EpiPen applicators. See also: The OSHA Bloodborne Pathogens Standard Fact Sheet and the UFT’s Guide to the DOE Bloodborne Pathogens Compliance Tool.